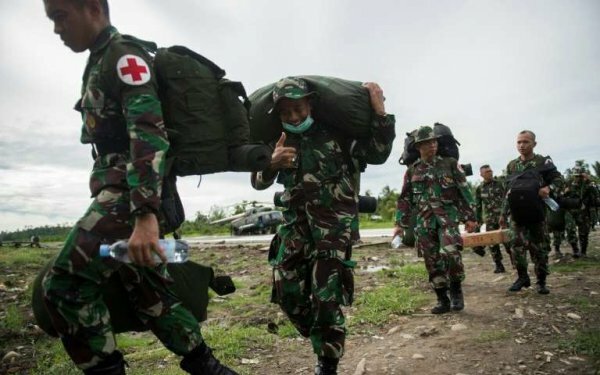 The BBC’s Indonesian Bureau Chief Rebecca Henschke was detained and questioned by the Indonesian military after criticizing supposed governmental aid to West Papua on Twitter. Henschke’s team of BBC reporters was given rare permission to visit West Papua to report on cases of measles and malnutrition afflicting the region, an outbreak that has claimed the lives of at least 60 children. After tweeting her displeasure with the type of food aid she believed was being sent to children in West Papua, she and her crew were escorted from the region to Jakarta. The article below was published by Hawai’i Public Radio. The Indonesian government expelled a BBC crew from West Papua after a series of tweets “hurt the feelings of soldiers.” Indonesia rarely allows foreign reporters to visit that restive area because of the on-going independence struggle, but the BBC was given permission to cover an outbreak of measles and malnutrition.